Since its implementation in 2011 the CRInt granted more than 30 fully covered internships of 8 weeks duration to students from all over the world. During its internship every student carries out a research project in a laboratory in one of various areas ranging from structural biology to astroparticle physics. The work is supervised by a professor of the IFSC and provides the visiting student the opportunity to familiarize with a new topic or find out whether the chosen area of research is really as he/she imagined. 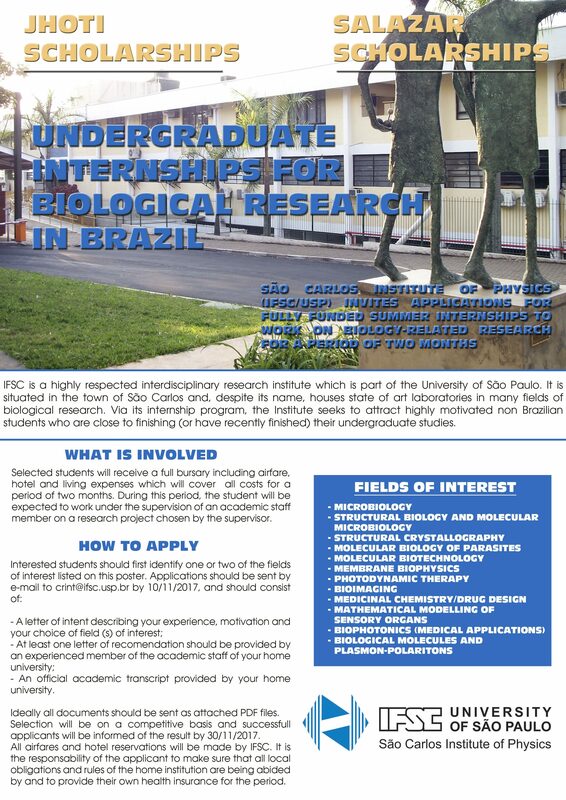 Further-more, he/she will get into contact with Brazilian and other foreign students and, who knows, eventually find out that São Carlos is a nice place to live and pursue graduate studies.